Marty’s photo of the day #2517: In honor of the Minnesota Twins vs. Cleveland Indians baseball games in Puerto Rico this week, I’m digging into my Puerto Rico photos. The island really needs these games as a pick-me-up, after the Trump administration botched the hurricane recovery efforts (they have enough paper towels now, however). Both Minnesota and Cleveland have Puerto Rican players. Cleveland won the first game, but tonight the Twins pitch their Puerto Rican ace, José Berríos, so it’s gonna be electric. Today’s photo features a Puerto Rican Boa. 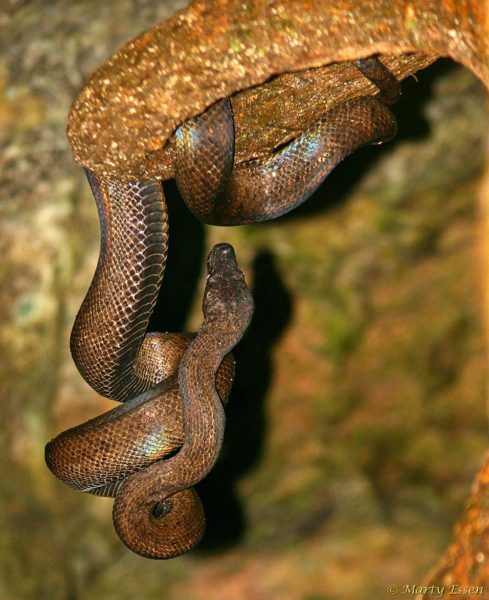 These amazing snakes hang out at an obscure cave (I had to get special permission to go there) and catch bats in mid-flight each night. Baseball in Puerto Rico . . . and iguanas too!